Most of Google's services are free, but you're actually giving Google a lot of your data to keep it that way. The Opinion Rewards app makes the transaction more explicit: answer these questions and you get some Google credit. Starting now, you can manually adjust your profile in the Opinion Rewards app, which affects the surveys you get. 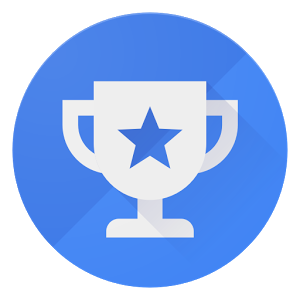 Weekend poll: How much have you earned in Play Store credit from Opinion Rewards? 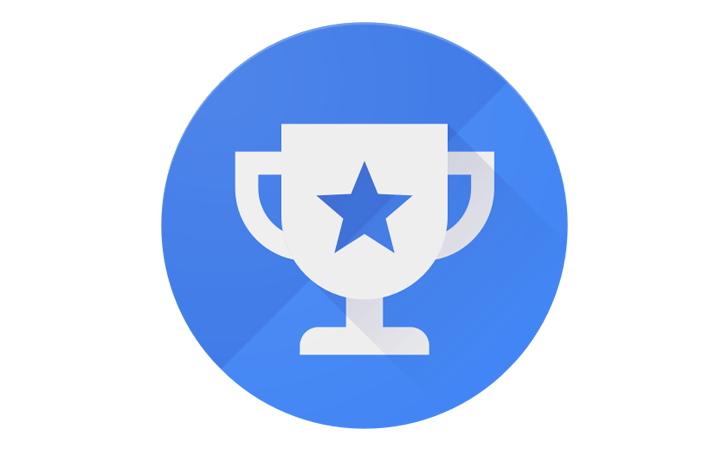 Google Opinion Rewards is an awesome app Google released around two-and-a-half years ago that allows you to answer survey questions and receive Play Store credit as a form of payment. It's pretty much a win-win for all involved. 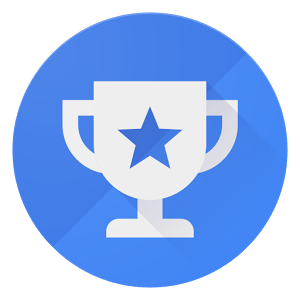 While it's not available everywhere in the world, Google has done a pretty decent job expanding Opinion Rewards across the globe, and now we're curious to know just how much Play Store credit you've banked with it. Currently, I've manage to rack up $63.79 in Play Store credit since I started using it in May 2014, which doesn't seem bad at all, but I know I've heard from some of you that have been in the hundreds of dollars for some time. 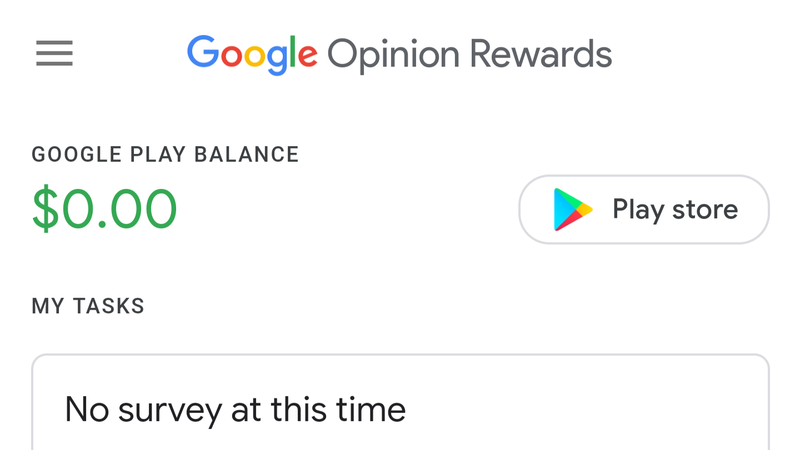 Google Opinion Rewards has been around for a while, allowing Android users to answer various surveys to receive Play Store credit. 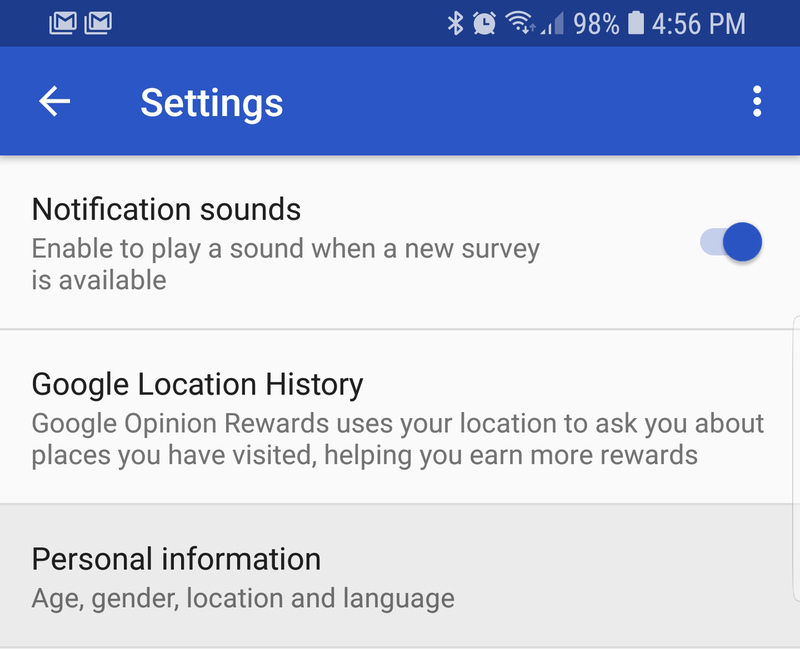 Now Google has updated the Opinion Rewards app to version '20170119,' adding a hamburger menu and new notification options. 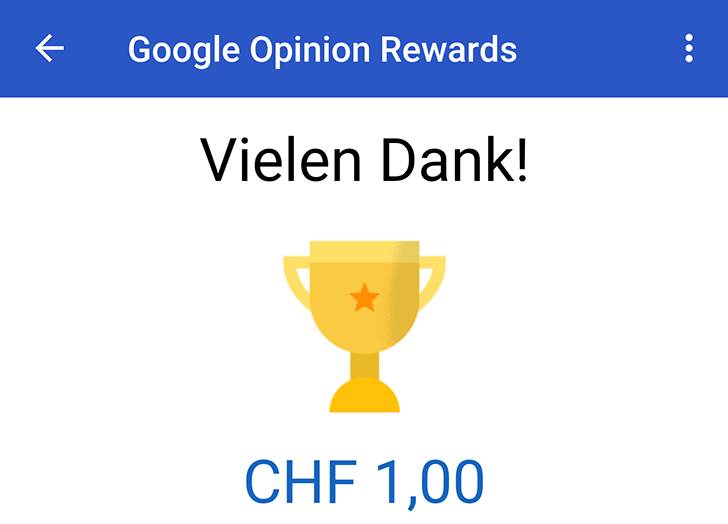 It appears that Opinion Rewards is also available in Austria. Thanks rumkuhgel and Simeon M.
Hé, les Suisses, vous étiez jaloux des Français et de leur accès à Google Opinion Rewards? Bah maintenant, il n'y a plus aucune raison de rester envieux: Opinion Rewards est disponible en Suisse! Of the national languages in Switzerland, I only speak French, so excuse me if I can't write that sentence above in German, Italian, or Romansh. 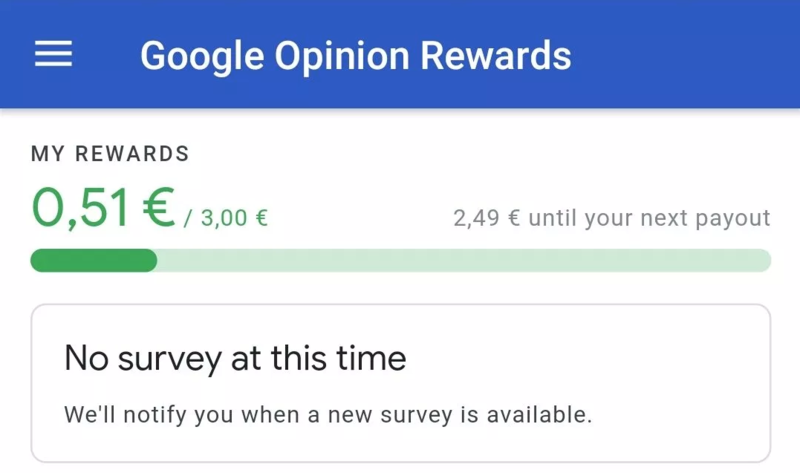 But I'll translate the general sentiment to English for those of you who are still reading me: Google Opinion Rewards is now available in Switzerland. According to a couple of tips we've received, the app is now downloadable from the Play Store in Switzerland and users can sign up, start answering surveys, and earn a little bit of cash for each of them. Four languages are available for surveys: French, Italian, German, and English.